Accepting that your parents are no longer able to function at the levels that you’re used to seeing can be difficult to accept, particularly if your parents have been very active throughout their lives. Perhaps they were heavily into hiking, sports, or we’re just the types who ran around all the time and dragged you along with them. Seeing them with limited mobility and an inability to actively get around can be both emotionally off-putting and difficult come to terms with. But it is something we must all come to terms with because it is a byproduct of aging that everyone eventually goes through. Because of their slowing down and the limits placed on their ability to get around, you must take precautions to make sure that they are kept safe and are comfortable in the places they live. This is the only way to insure that they can continue they’re productive lives. For this reason, you need to do is make common sense changes to the living spaces. Several rooms and areas need to be modified to accommodate their present and future physical condition. If everyday activities like showering or taking baths becomes difficult, you need to take action by purchasing a tub or shower that has both easy access and a seat that allows them to sit while bathing. With so many people reaching old age these days, many top manufacturers now produce these types of bathroom amenities. They also make shower and sink handles that are easier to turn on and turn off, requiring less energy by the older person. There’s a lot of effort required to go up and down a flight of stairs. When you are fit, it is something you definitely take for granted. But the first time you see someone struggling to get up and down a flight of stairs, you appreciate how difficult it can actually be when you have limited mobility issues. If your parents live in a home that has two floors and they have a need to consistently be on both floors of the home, you should fit a stair lift on the home’s staircase. 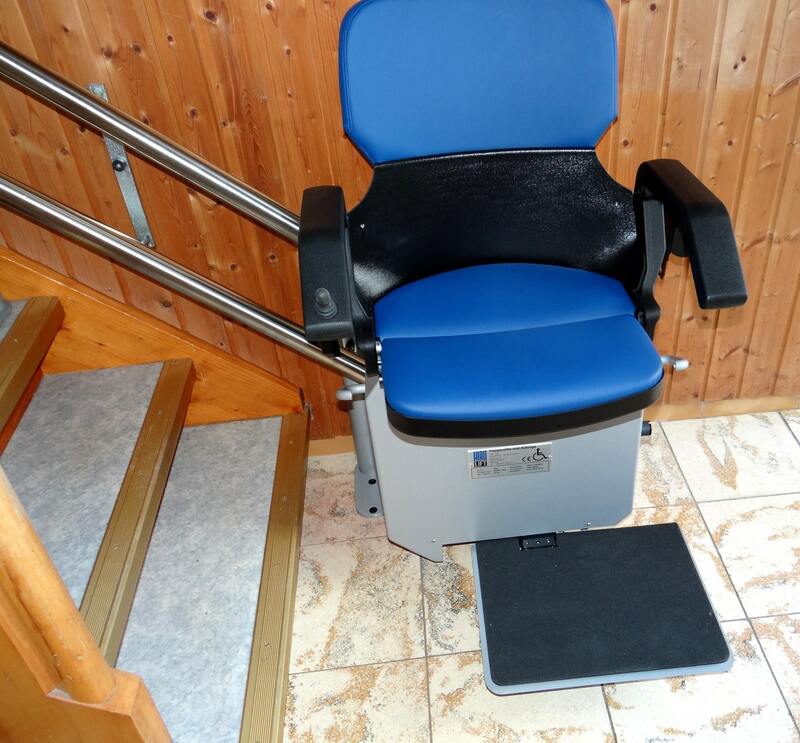 A stair lift allows someone with limited movement to sit onto a chair type device, strap in, and be transported up or down a flight of stairs. Stair lifts are connected to and run slightly above the staircase. Their operation is easy and they glide effortlessly in either direction up or down. When the destination is reached, the elderly person can simply undo the safety belt and the stair lift will utilize electric motors to assist in helping the person to a standing position. .Additionally, any furniture that protrudes in walkways needs to be moved to avoid your elderly parent running into it or tripping over it. This includes hat racks, magazine stands, ottomans, and any other furniture items in the way.